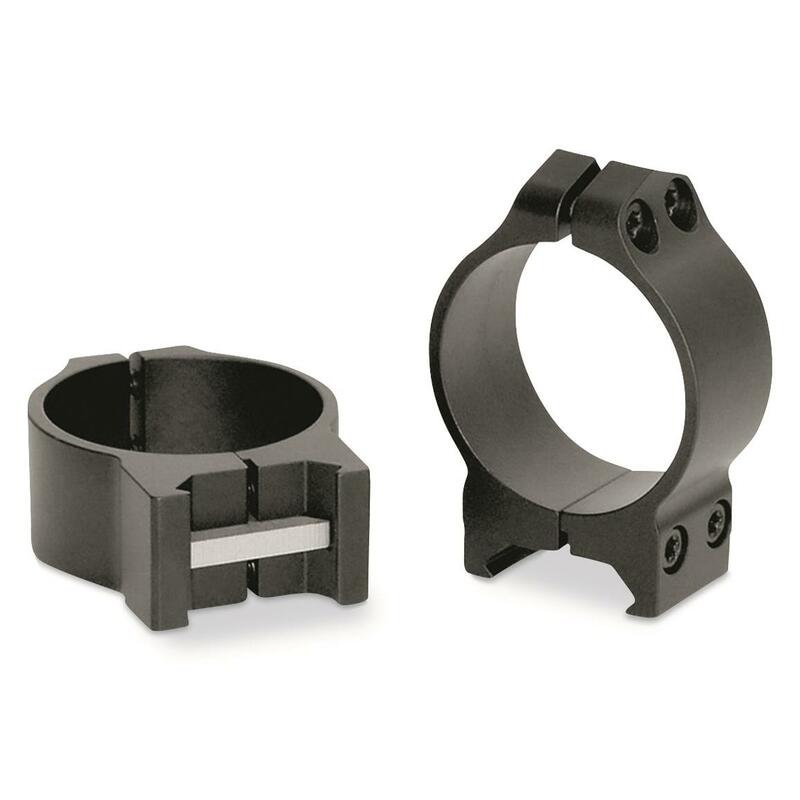 Warne Scope Rings are the strongest, most durable fixed mounting systems you can buy! Mount your scope the right way. These Warne Fixed Rings use a secure Torx-style socket clamp for a secure mounting,are wider to hold your scope firmly in place and use a the square recoil key to ensure a maximum bearing surface to the receiving bases. The recoil key in the front and rear rings ensures a no-slip recoil surface for a secure hold. Designed to fit Warne bases, all Weaver cross slot and mil-spec Picatinny-style bases and rails. Low: .25"h., fits 20-36mm objective, 4.3 oz. Medium: .375"h., fits 36-42mm objective, 5.2 oz. High: .525"h., fits 42-52mm objective, 6.2 oz. Order your Matte Rings right here! Warne 1 Matte PA Rings is rated 5.0 out of 5 by 3. Rated 5 out of 5 by Chungas Revenge from Excellent product Warne continues to make a quality product. I use these Matte PA rings on my "Whitetail Kit" , REM 788 in 7mm-08 and REM 783 in 308. Good reliable interface between the optic and the shooting platform. Warne indicates no lapping required on these rings and so far it has been my experience that this is an accurate statement. 308 is the largest caliber/platform I have used the PA rings on. I can't speak to anything more substantial. For this particular setup they perform superbly. I buy a lot of kit from SA, shipping on two sets of these rings was a little stiff. But, IMHO this still constitutes a 5 star rating for WARNE. Rated 5 out of 5 by CaptKirk from Used on Rossi 243 Youth Rifle I purchased these rings to use on a Rossi 243 Youth Rifle with Leopold Rifleman scope. They were a perfect match. Rated 5 out of 5 by feamir from Tight Rings! These rings installed differently than most others, not a bad thing. They secured the scope very well. Good instructions, thanks for the torque values. I like the steel construction. Will buy more when the need arises. Add an inch in a matter of seconds.